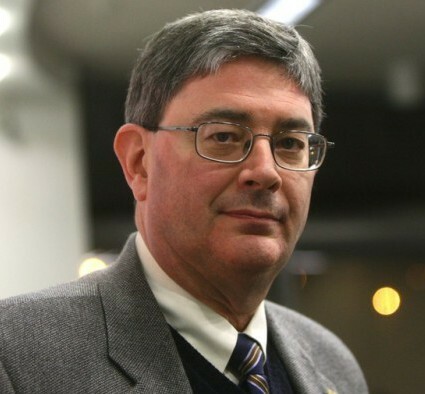 Good Guys – Christian Author, George Weigel, Says to FIGHT BACK Against Non-Christians Who Seek to Condemn Christian Values | It's the Women, Not the Men! The following article was written by George Weigel on December 31, 2014. He is Distinguished Senior Fellow of the Ethics and Public Policy Center in Washington, D.C.
You will note that Mr. Weigel’s two “aggressors” in the culture wars he discusses, are both non-Christians. One, Jonathan Gruber, is a notorious radical progressive and Ruth Bader-Ginsburg is a notorious radical, second-wave feminist. It’s about time that influential Christian men begin to call-out the people who are aggressively trying to destroy the, very same, Christian values that made America great. I hope that Mr. Weigel’s call-to-action will reverberate across the nation! As Christians, we must acknowledge who our enemies are, before we can ever hope to defeat them. Dr. Jonathan Gruber, an economist at the Massachusetts Institute of Technology, is best known these days for an imprudent lecture in which he suggested that the Obamacare bill (of which he was an intellectual architect) was deliberately crafted to be so complex that the stupid American people couldn’t possibly understand it. Gruber’s lecture opened a window into the arrogance of the secular clerisy: those enlightened members of the professoriate who know best and who, as a matter of duty, are going to give the dimwitted people what’s best for them—and give it to us good and hard. Yet many who found Dr. Gruber’s condescension akin to fingernails scraping down a blackboard were even more appalled by a paper Gruber wrote in 1997, which came under scrutiny during a recent congressional hearing at which the MIT professor was a witness. ‘By 1993, all cohorts under the age 18 were born under legalized abortion and we estimate steady state savings of $1.6 billion per year from positive selection.’In plain English: The abortion license saved the taxpayers $1.6 billion a year because those terminated before birth were from social classes most likely to be welfare clients. In even plainer English: Disposing of all those poor kids before they’re born is a winner. Gruber’s paper, and his grilling by Kentucky congressman Thomas Massie, was a reminder that eugenics is the dirty little secret of the secular progressive. For what Dr. Gruber called “positive selection” is simply a euphemism for eugenics: the deliberate elimination of those parts of the population most likely to have difficulty coping with our post-industrial, information-driven society. Which brings us, at the end of the year, to the question of the Church and the culture wars. At the root of today’s culture-war issues—abortion and euthanasia, the marriage debate, the LGBT insurgency—are competing and, frankly, irreconcilable ideas of the human person. Are we people of intelligence and free will, capable of knowing the good, freely choosing it, and finding happiness in that goodness? Or are we congealed stardust, twitching bundles of desires for whom instant gratification is the summum bonum, the greatest good? Those determined to impose the latter idea on the rest of us are the aggressors in the culture wars of the twenty-first century, not the Church. A culture war has been declared on us. And while there may be a choice of weapons with which to fight that war, not fighting is not an option. For to surrender, supinely, before the aggressors in the culture wars—including the eugenicists—is a betrayal of the Gospel and a betrayal of the Church’s evangelical mission. It’s a betrayal because the Lord has taught us that care for the least of his brethren is care for him. The least among us are now being described, and treated, as the disposable among us. To defend their human dignity is a Gospel imperative.